Does Martavis Bryant want out of Pittsburgh? The NFL Network reported on Sunday that the Steelers’ No. 2 wide receiver had demanded a trade, as he’s frustrated with his role in the offense. ESPN then added that the request had been made weeks ago. Bryant, 25, is third on the team in targets and fourth in receptions, and might be losing his No. 2 role to rookie JuJu Smith-Schuster. After Pittsburgh’s win over Kansas City on Sunday night, though, Bryant seemed to deny the report. Big win today and tomorrow right back to work tomorrow I am happy to be a steeler and can't wait to reach number 7 this year. Bryant’s girlfriend, however, seemed to confirm the reports, suggesting why her boyfriend would want out of Pittsburgh. The former fourth-round pick out of Clemson has 93 career catches for 1,545 yards and 15 touchdowns. He has 17 catches for 231 yards and 1 touchdown so far this season. 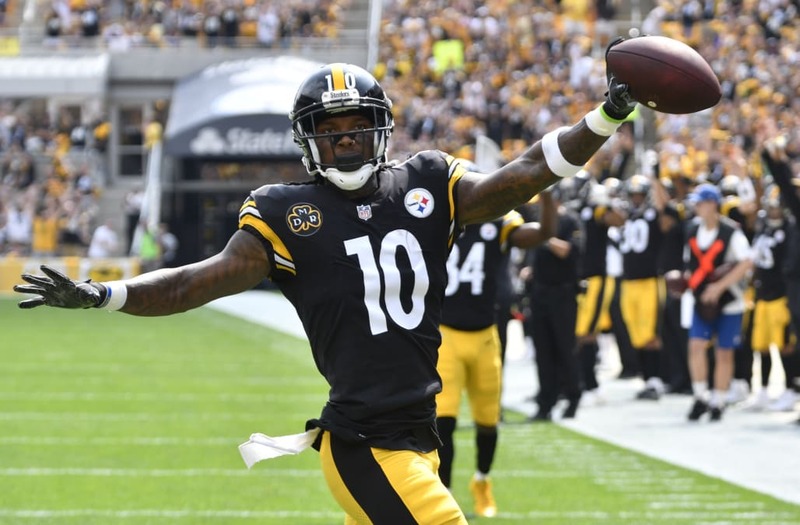 The post Steelers WR Martavis Bryant Reportedly Demanded A Trade appeared first on The Spun.